When you check in at the Bay Haven Inn in the spring, you will often find us with our hands in the dirt (or at the very least, smelling of dirt)! Springtime gardens signify the color and beauty that was buried beneath winter’s dirt. And that means Cape Charles, VA is ready to celebrate that floral splendor! 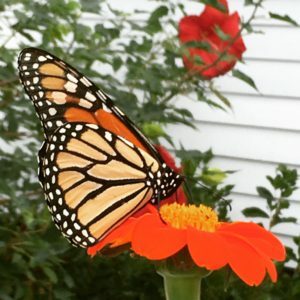 Not only is the Inn a flower feast for the senses, but you’ll find that the town of Cape Charles is also graced with many local flower garden arrangements. It’s the time of year when a simple walk down the street is breathtaking with Nature’s beauty! Another way to enjoy the Eastern Shore’s blossoming springtime gardens around Bay Haven Inn of Cape Charles is to visit historic Eyre Hall. 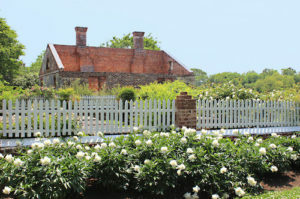 Always the cornerstone of the Eastern Shore of Virginia Garden Tour, these gardens date back to the 1800’s, making them some of the oldest in the United States. As you can imagine, these gardens can also serve as a peaceful picnic spot. We recommend grabbing lunch from a favorite spot of ours, Machipongo Trading Company, then enjoying it in the solitude of Eyre Hall’s greenery. End the day of course with a cool beverage of your choice on our porch, and reflect over this memorable excursion. You don’t want to miss springtime on the shore…have you booked your room yet? This entry was posted in Bay Haven Inn Experience, Events, General and tagged Eastern Shore Garden Tour, Eyre Hall by admin. Bookmark the permalink.